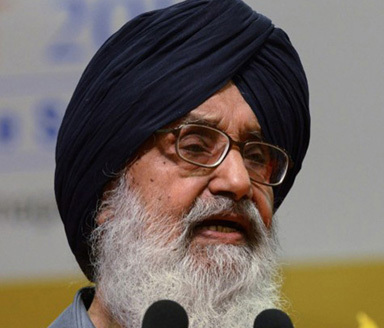 Chandigarh, May 30 : Punjab Chief Minister Parkash Singh Badal Friday said no decision on Article 370, which grants special status to Jammu and Kashmir, should be taken in haste. Advocating an amicable solution of issues like Article 370, Badal, the patron of the Shiromani Akali Dal which is part of the BJP-led National Democratic Alliance (NDA), said all concerned should be involved in such a decision. "The central government must take all the political parties of the country into confidence before taking any action on such issues," he said while interacting with the media on the sidelines of a function at Talwandi Sabo in Bathinda district, 250 km from here. "Such decisions should not be taken in haste," he said, expressing the hope that "an experienced and visionary leader like Prime Minister Narendra Modi would take a call on such issues only after due consultation with the entire political leadership of the country".